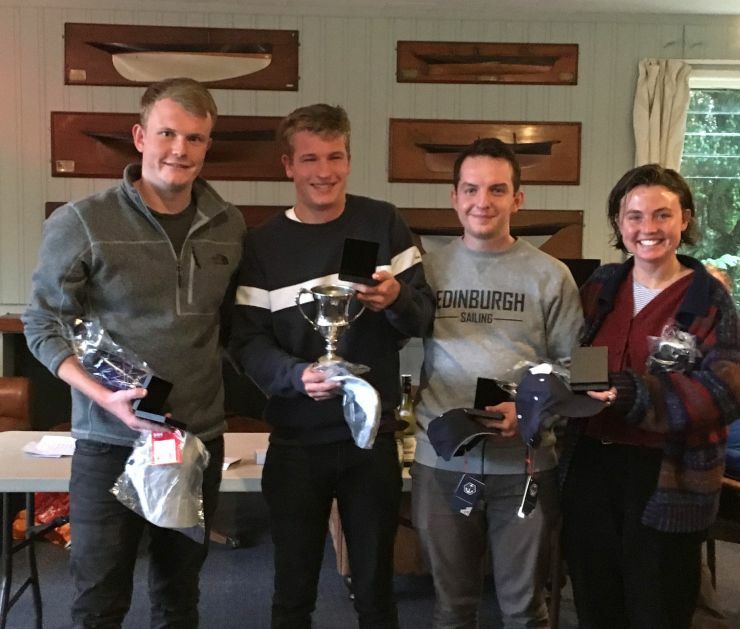 Clear winners of both the SSS Match Racing Championship 2018 and the overall Ceilidh Cup were Miles Jones and his crew of James Holmes, Hugh Bruidwood & Jenny Dinwoodie of the Edinburgh University Sailing Club. Miles Jones spoke after the event: "It was great to be sailing up in Scotland, after a summer away, despite the mixed conditions. The team sailed well, despite having some tough matches; we look forward to competing at the grand final in a few weeks. Craig and his race team organised and ran a great weekend, and we look forward to sailing the event again next year". 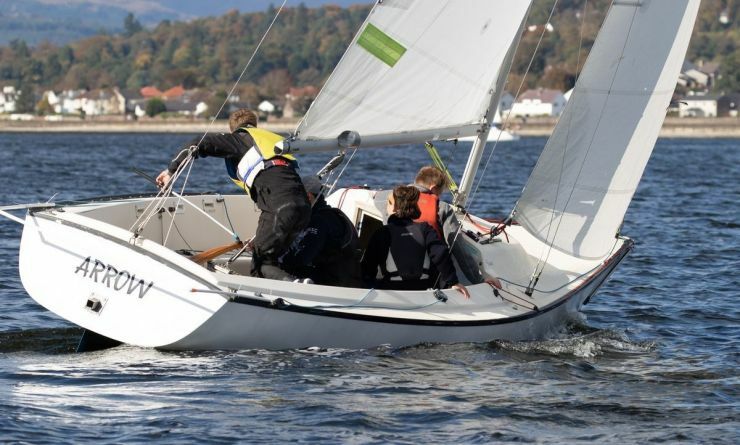 See Report from Craig Macdonald of Royal Northern & Clyde Yacht Club and photos from Neill Ross. Neill Ross’ full gallery. See also Preview.